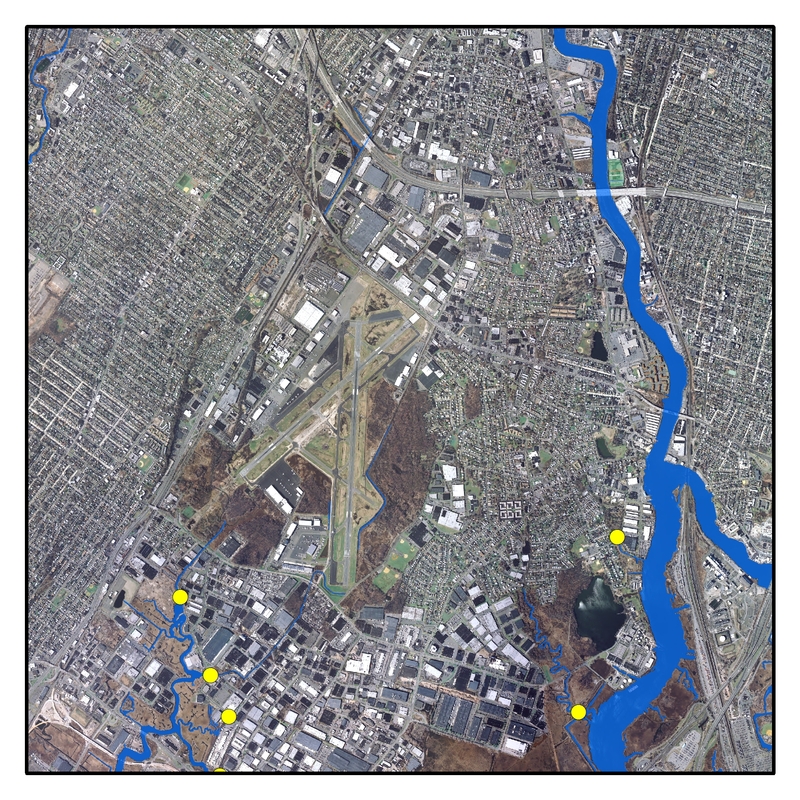 The terrain within the Hackensack Meadowlands District is mostly flat and changes in elevation rarely exceed 6 to 7 feet. The spatial patterns of water movement are especially complex due to a network of 42 tide gates (not all operational) and hundreds of culverts and legacy ditches. It is extremely important to have an understanding of these patterns because of the District’s vulnerability to flooding and because of the existence of more than 3000 acres of landfills just a few feet above sea level. The boundaries of the hydrological sub-basins within the District are a key piece of information for the design of coastal defense structures as well as to predict and understand the transfer of contaminants associated with moving surface waters and sediments originating from legacy landfills. For these reasons it is important to be able to model what areas are drained by certain tide gates as well as the extent that they protect. 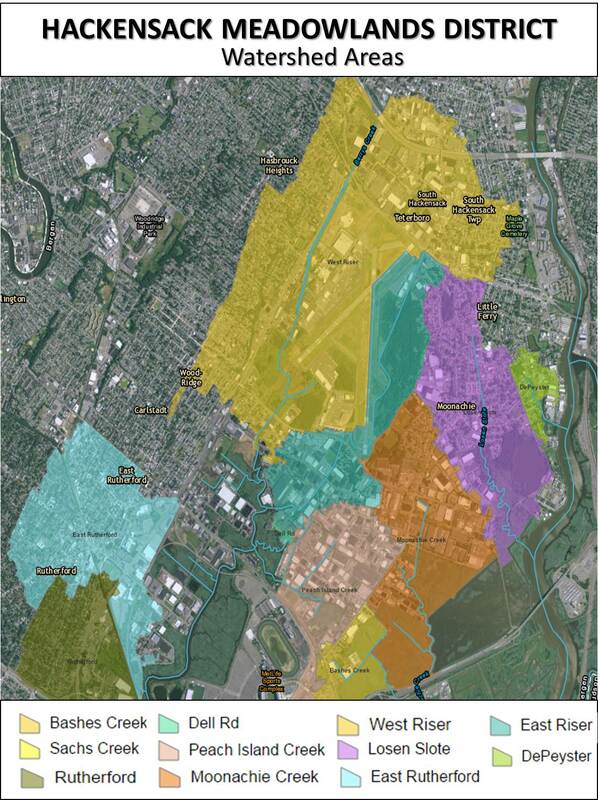 An easily repeatable methodology to delineate watersheds for any point within the District at any time needs to be established. 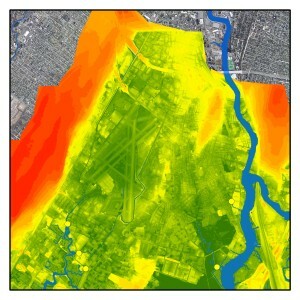 Use advance urban watershed modeling software to map watershed boundaries for major tributaries, tide gates and other areas of interests by incorporating elevation and utility infrastructure data. 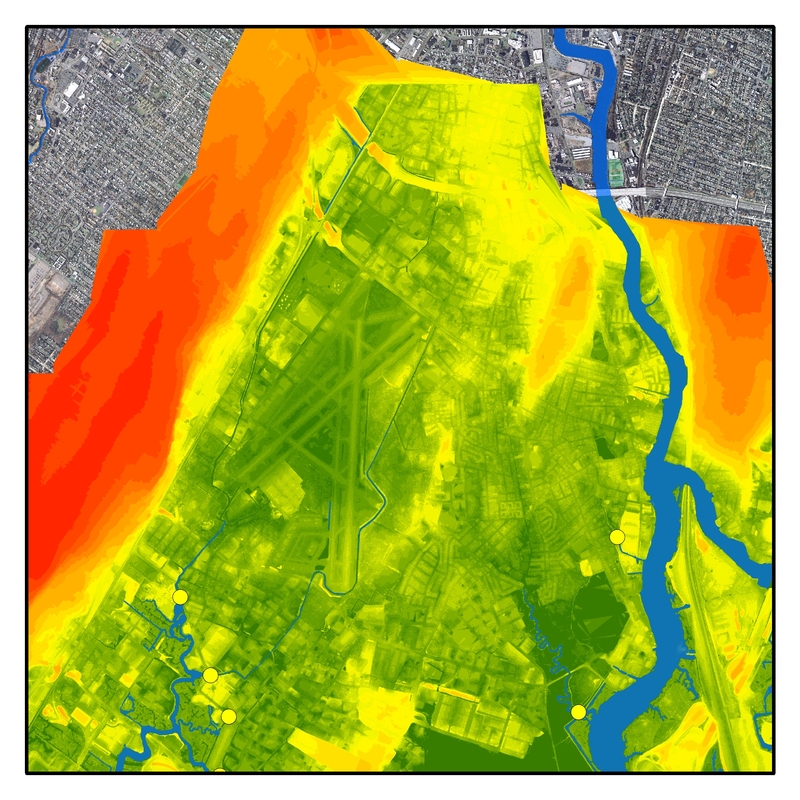 Use highly accurate LiDAR data to create a digital elevation model in which the hydraulic conductivity throughout the District is established and the existence of major landscape features are incorporated. Delineate the District watersheds and their drainage basins in order to serve as the backbone for a variety of projects conducted by MERI and verify resulting watershed boundaries in the field. Watershed boundaries for areas of interest within the District and a watershed delineation tool that can be used at any time to meet the dynamic needs of MERI.